C.O. 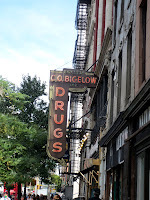 Bigelow Apothecary at 414 6th Avenue is the oldest apothecary in America. 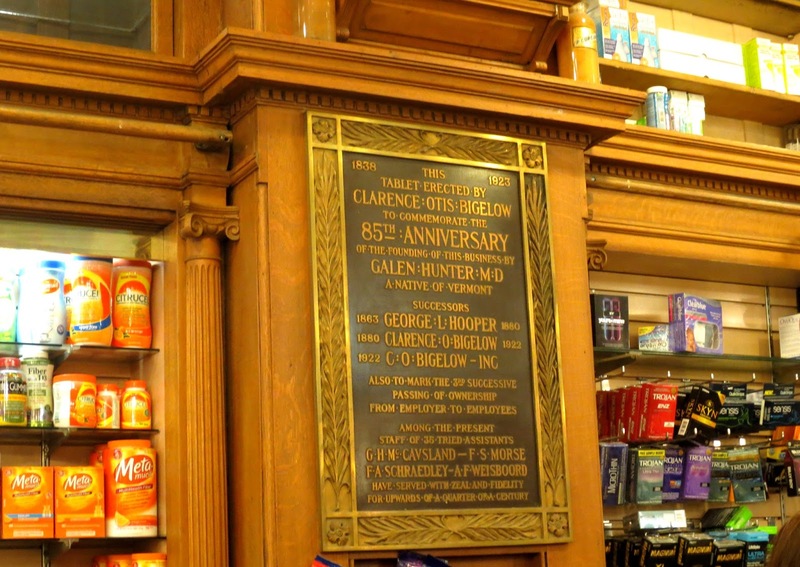 It was founded in New York’s Greenwich Village 1838 by Dr. Galen Hunter as the Village Apothecary Shop. 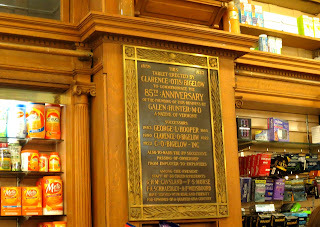 Clarence Otis Bigelow worked for Doctor Hunter and eventually took over the shop. 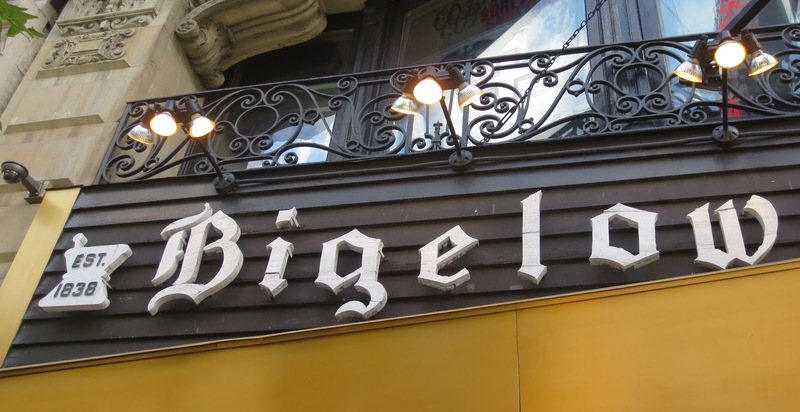 The original store was located a couple doors down from the current address, but in 1902, the ambitious Bigelow built a new building for himself and the shop. 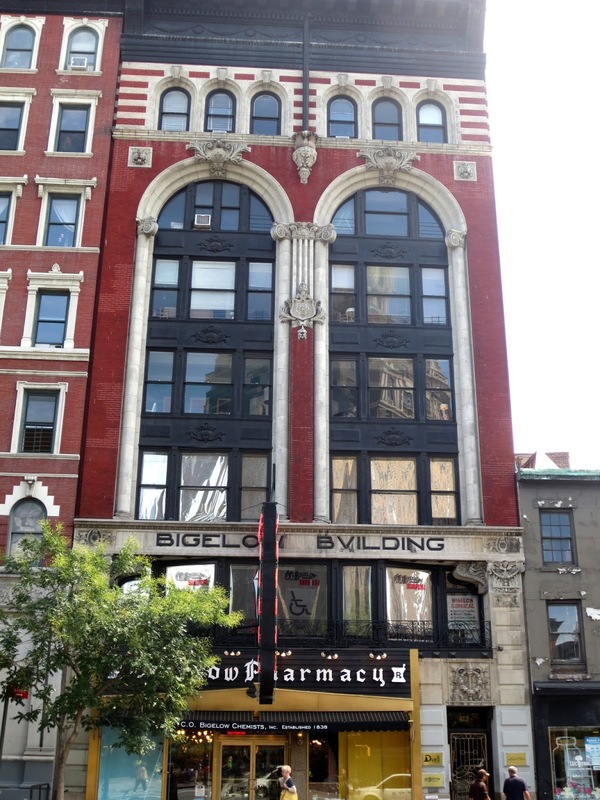 ( he lived at 14 West 10th Street in Greenwich Village from 1900 to 1901) bought the toothpaste there. When Thomas Edison ( as featured in advertisements ) burned his finger on a prototype light bulb, he ran into the store for balm. Eleanor Roosevelt often used her friend Esther Lape's Manhattan apartment at 20 East 11th Street as her "hiding house," a comfortable private space where she could meet friends and colleagues. She often visited the store. Until the in-store soda fountain was torn down in 1984, the lunch counter cooked a whole turkey every day. For three generations, Bigelow has been run by the Ginsberg family. Ian Ginsberg, the 50-year-old grandson of the man who bought the store in 1939 now heads up the landmark shop. Ian has been working in the store since he was 6 years old. 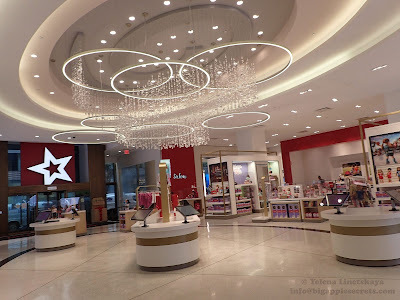 He travels all over the world looking for unique health and beauty products, and imports many brands hard to find here in the states. In 1980s the chain pharmacies started coming Duane Read, CVS, etc. It was difficult time for the company. "We make soaps, perfume oils, essential oils, massage oils, cosmetic bags, and many other items. And we manufacture Alchemy, our own complete line of cosmetics." 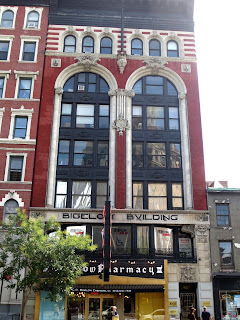 – said Ian., “We´re a 100-year old pharmacy. You can create a company overnight, but you can´t create 160 years of history overnight." The store-labeled Bigelow Lemon Body Cream has been a favorite formulation since 1870. Ian now no longer has any fear of competition from the big chains – he has his own niche: Bigelow´s specialized in real customer service. The oldest still-operating pharmacy in the world is The Santa Maria Novella Pharmacy in Florence, Italy. It was established in 1221, when the Dominican monks from the adjacent Basilica of Santa Maria Novella began growing herbs to make balms. 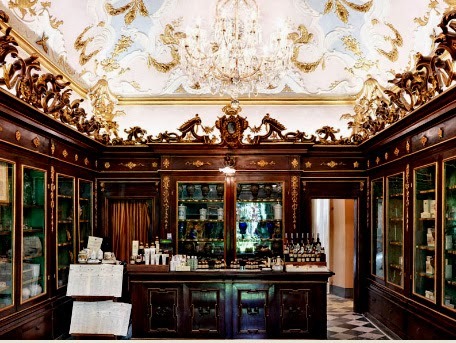 In the 17th century, the pharmacy opened its doors to the public.